Fortunately most reviews have been good but all authors get bad reviews. 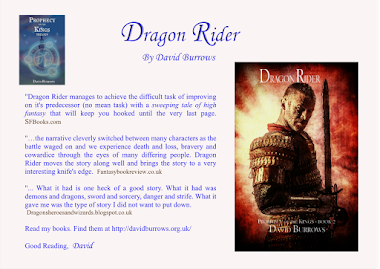 I have no problem with folk not enjoying my books. I wish everyone did, but even Tolkien had folk who didn't take to his work. My worst reviews came in a gaggle. Not sure that's the right terminology, but it seem apt. i.e. they came together on Goodreads. It was a time of giveaways. I suspect in some cases folk just wanted a freebie. 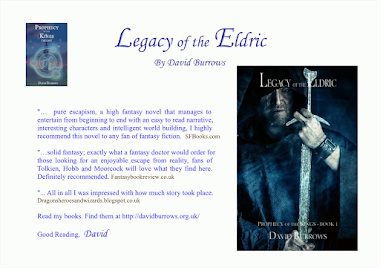 For the worst reviews, looking through their libraries, some reviewers didn't seem to be fantasy fans. 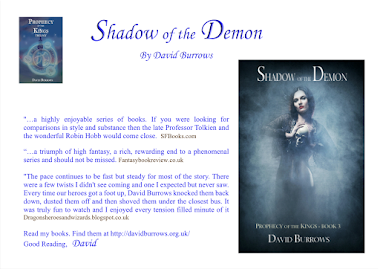 The advantage of being self published is that I post sample chapters on my website http://davidburrows.org.uk/ so I think some of the folk were perhaps less justified in their comments. Still, you can't complain and you have to live with less than complimentary reviews. One that baffled me completely was Utter twaddle. This book combines ye olde English with modern London slang. It can't figure out what it's supposed to be. I don't know any London slang. Dog and bone (phone) perhaps. Ye Olde English??? As an author folk are entitled to say what they like, but this one was a complete and utter mystery. Fortunately most reviews are fairly well balanced whether they are complimentary or not. And, as I say, most reviews have been good today. 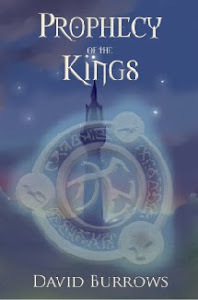 So if you've read Prophecy of the Kings and not posted a review, please think about doing so. They are important to me. Amazon reviews are helpful as they help to sell the books. Sadly, some people delight in being mean without providing constructive criticism. Fortunately there are books for every taste and what one person dislikes another will like. Thanks for the comment Elf. I posted favourite and worst reviews to give a balance. It amazes me just how wide the comments can spread - from really liking particular novels to hating them. My own taistes have changed over the years. I used to rarely put down a book before finishing it. Now, I do find myself giving up part way through more often.